Six Twenty Seven: "Revive or Archive" now on PeopleTV!!! I'm a little late announcing it here on my blog, but the web series I host for Allrecipes (Revive or Archive) launched on People.com's PeopleTV App and Website last month! For the month of October it was the 14th most searched show, and even came in 8th place on weekends. 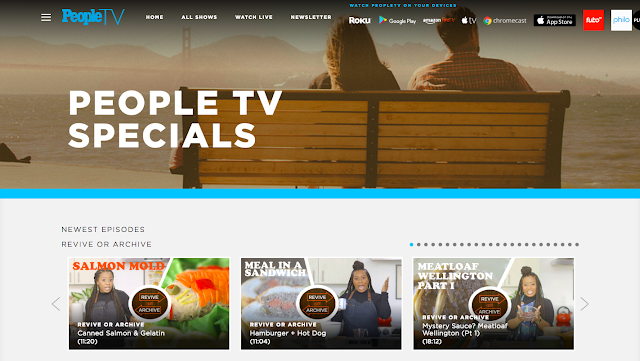 The series page isn't live yet on the site or app, but you can find episodes under the "People TV Specials" and by searching "Revive or Archive" within the app.